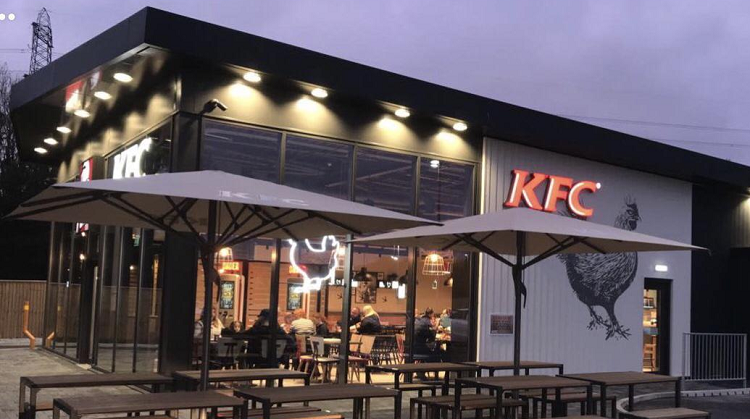 The Drive Thru KFC at Frontier Park, Blackburn, has now opened, completing our incredible food-to-go offer for travelling motorists and locals alike, just off Junction 6 of the M65. The KFC sits alongside our BP Petrol Station, featuring Totally Wicked and Subway, as well as 24-hour Greggs and Starbucks Drive Thrus. There was an unprecedented turn out on opening weekend – who knew that so many people liked chicken? – and our team dealt with it brilliantly. The restaurant’s popularity shows no signs of slowing down and there’s no greater confirmation of a job well done.